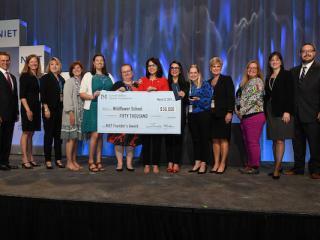 Samantha Morgan poses with her Award check with Milken Family Foundation Chairman and Co-Founder Lowell Milken alongside Texas dignitaries who attended the day's festivities. 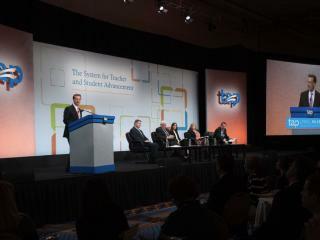 Pictured, from left: Milken Family Foundation Chairman and Co-Founder Lowell Milken, Texas Commissioner of Education Michael Williams, Samatha Morgan (TX ’14), Texas Senator Brian Bidwell and Education Service Center Region 12 Executive Director Dr. Jerry G. Maze. 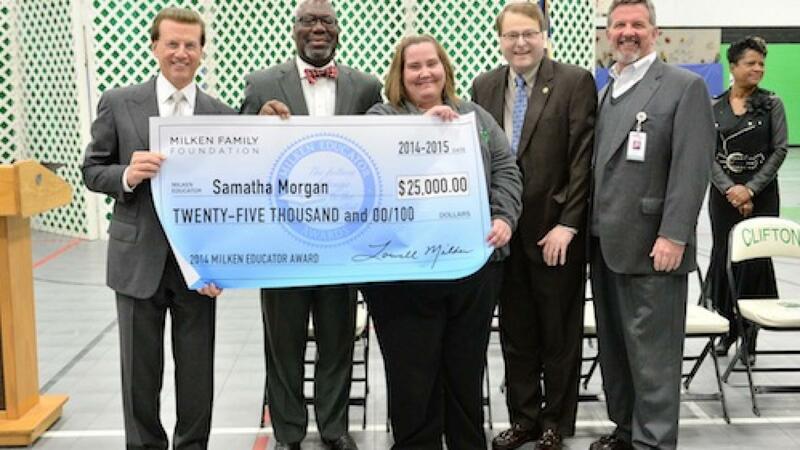 Views more photos of Samantha Morgan's Award Notification on the Milken Educator Awards website.